During Open Enrollment, employees have the opportunity to make benefit changes through an online system via myOleMiss for the entire month of October. With 24/7 access, employees can review benefit plan information and proceed through the enrollment process at their own convenience. Information about insurance plans can be accessed by visiting the Human Resources Benefits webpage. This website defines benefit options and provides the link to vendor websites. The State and School Employees’ Health Insurance plan will experience a 3% premium rate increase effective January 1, 2019. If you wish to change your coverage (i.e. add/drop family members, switch plan option from Select to Base or Base to Select, add or drop coverage) due to the premium increase, the election must be made during Open Enrollment. The 2018 and 2019 premium rates are available for viewing on the Plan’s website. Each insurance plan listed below has a link to instructions for completing enrollment applications. Please note that completing an enrollment application is only one step in the enrollment process. 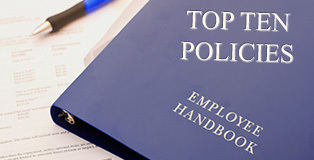 Employees must also add new insurance plans, change existing coverage, and cancel/drop plans via the online system. The enrollment process is not finalized until both steps are complete. Enrollment forms and information sheets can also be accessed by selecting the plan name below. Are you looking for instructions on how to complete the online enrollment process? Look no further. There is a Tutorial available to guide you through the process. Mark your calendar! Insurance providers will be on campus throughout the month of October to visit with employees about plan benefits, premiums, and to answer personal questions. A list of dates, times, and locations is provided. Reminders will be posted on UMToday. If you have questions after utilizing the above referenced resources and tools, do not hesitate to contact the Human Resources benefits team for assistance.